Whenever anybody tries to make a power-move in the Marvel Universe, they have to construct some sort of plan to deal with Wolverine. Osborn was no different, so he set out to find Daken. Luckily for Osborn, he stumbled onto a pile of gold because Daken was not only a worthy foe for Wolverine but he was also his son. Norman discovered that fact whilst trying to recruit him to his team, once he found that out, keeping Daken was a must because there's nothing like some good old father-son angst to get the juices flowing (Osborn of all people should know that). Certainly no member of Osborn's team was more duplicitous and self-serving than Daken and that is saying something considering that roster of 'heros'. 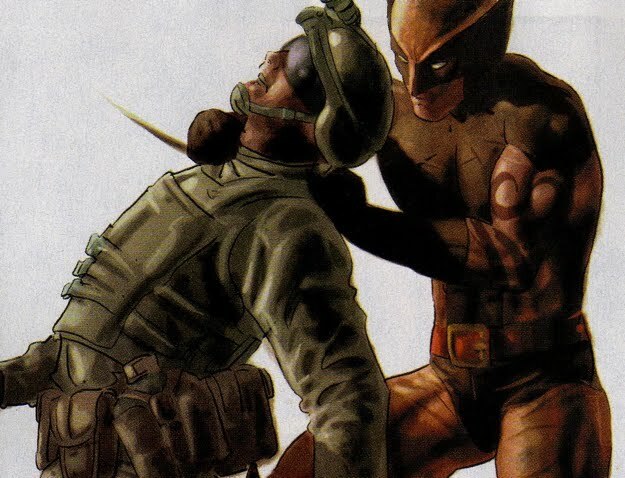 Daken worked against Osborn almost as frequently as he worked for Osborn. Still, Daken's skill-set made him a valuable asset for Norman and he was the only Osborn cohort to be double-rostered on both his Avengers and X-Men teams. 1. After Spider-Man had infiltrated the Avengers Tower in an attempt to take down Osborn, Daken was critical in sniffing out (literally!) the intruder. Summarized here. 2. After Emma Frost seceded from Osborn's X-Men team, Daken opposed her mutiny. Frost, however, made quick work of Daken and escaped Osborn's control quite easily. Summarized here. 3. Daken pitted the Fantastic Four against Osborn in a rather convoluted double-crossing scheme that left both Osborn and Richards without a decisive win over the other. Summarized here. 4. After Osborn grew tired of the Hood's inability to detain/subdue The Punisher, Daken was sent out to take care of business. Daken sliced-and-diced the vigilante, leaving him as a pile of severed body parts. Summarized here. 5. Daken was quite antagonistic toward his own team as well, he constantly battled Gargan and Bullseye in what amounted to nothing more than adolescent bickering. 6. Like the rest of his team, Daken had issues when it came to maintaining a squeaky clean public image. After video footage of Daken slaughtering masked assailants in front of innocent civilians was brought to Osborn's attention, Norman quickly created a counter-measure to deal with the poor PR. Norman manipulated a group of D-list villains consisting of Emma Doolin, Cutthroat, and the Inquisitor into breaking Moses Magnum out of jail. He tells them that he will find work for the group once they've freed Magnum. 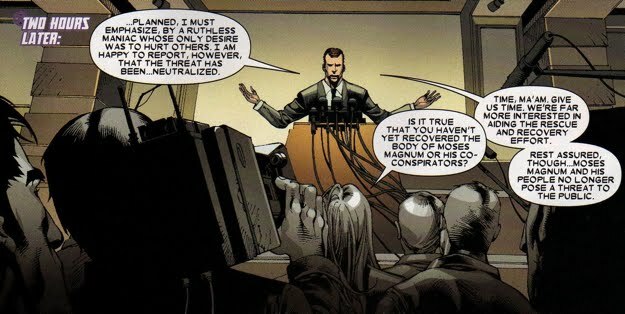 But Osborn, as expected, double-crossed the group and instead planned for Daken to publicly arrest the group in an attempt to pacify the negative publicity that Osborn's Wolverine was receiving. But when Daken arrives to defeat the quartet, they are able to escape...leaving Wolverine to be a failure in the eyes of his boss. The group planned on retaliating against Osborn for lying to them and attempting to have them arrested and/or killed. They attempt to blackmail Osborn with the video footage of him recruiting the villains to break Magnum out of prison. Osborn, of course, does not want this video footage reaching the light of day so he strikes a deal with the group. He will let them go free as long as they allow Daken to arrest them publicly. The group agrees. 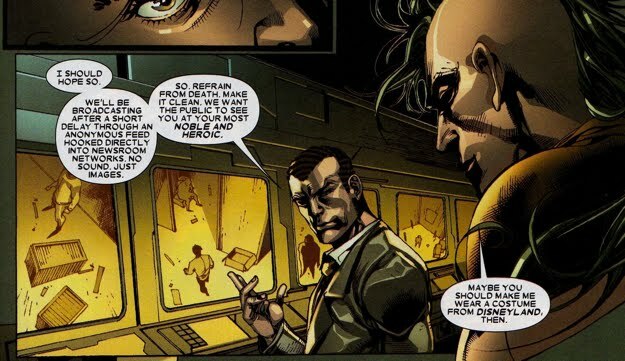 But Daken has his own plans when he arrives to arrest them, he tells them that Osborn had no intentions of keeping his deal with them, basically blowing Osborn's cover. Norman, infuriated, calls in his plan B, the detonation of a series of explosives that lined the groups hideout seemingly killing everyone including Daken. Osborn goes public with the news that the group was caught and that the villain Moses Magnum was responsible for the explosion that led to their deaths. But Daken manages to survive the explosion and rescues an innocent toddler in the process. The whole world watched as Daken becomes a very public hero. Things were not as expected though, the entire group of villains survived the explosion and Daken wanted to settle the score for their pummeling of him earlier. Daken tracked down and killed the entire group...saving Emma Doolin for last, she killed herself with her last bullet. 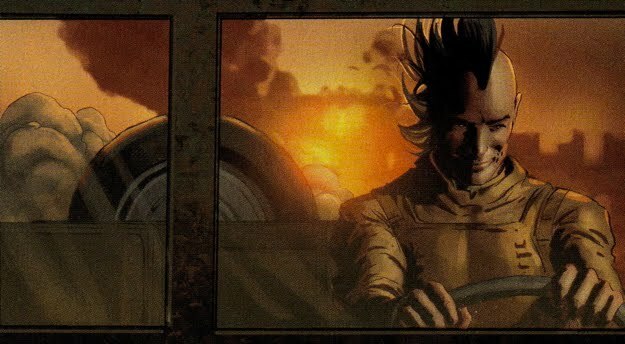 Daken is unique for a number of reasons, but certainly his favorite distinctive trait from his fellow Avengers would be the fact that he was the only Avenger to escape Osborn's downfall unscathed. After the attack on Asgard went awry and Norman's team was being taken into custody, Daken made a run for it. He killed a H.A.M.M.E.R. soldier, stole his gear, created a diversion with a bomb, and headed for the sunset. 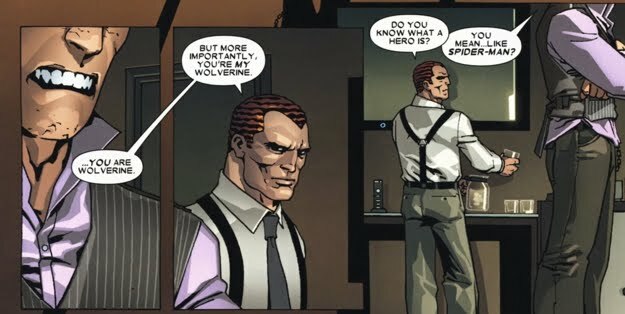 His alignment with Osborn ended that day.